With President Yar'Adua's order for the Anambra Peoples Democratic Party [PDP] primaries and congresses to be conducted on Thursday, October 8, 2009 - amidst the overhanging Court Order against the continuation of the said primaries and congresses - many within the intelligentsia of the Party has become paranoid as to the possible grim outcome that awaits PDP in the upcoming gubernatorial contest in Anambra next year. The paranoia as Ukpakareports.com gathered, has gripped the corridors of power within AsoRock - to the extent that frantic moves have taken the order of the day – as it becomes more evident that the PDP will inevitably select a consensus candidate in order to comply with the INEC stipulated deadline for submitting a candidate's name to represent the party. Armed with the discretionary power of arbitrarily selecting any aspirant to fly the Party's banner as the gubernatorial candidate, the powers that be in AsoRock reached a soft but resolute resolution, following a series of stakeholder meetings, to privately abandon the idea of selecting a candidate via the normal process of congresses and primaries. In their resolution, it stated that Anambra remains a political terrain too important to President Yar'Adua to be left alone for Chris Uba and Clement Ibeto to decide and/or manage. Their decision to abandon the idea was based on the manner the congresses in Anambra were mishandled by the Chris Uba/Clement Ibeto PDP wing in Anambra. Particularly, the injection of Chris Uba's elder sister's husband as the anointed candidate for the PDP gubernatorial race in combination with the carelessly rigged congresses that gave Chris Uba nearly 80% of the delegates. It irreversibly soiled what comfort level the Abuja PDP powerbrokers previously had with Chris Uba and his financial co-godfather, Clement Ibeto. While the decision to adopt an aspirant out of the maize of aspirants appeared to have come relatively pain-free for the faceless powerbrokers in Abuja, appending a name to the aspirant however has served a potent quagmire. This is as crisscrossed political interests present its lock jam. As Ukpakareports.com was recently informed, the top political class in Abuja, without quivering, hedged their bets on the former Central Bank Governor in the person of Prof. Chukwuma C. Soludo largely because of his accomplishments and name recognition while an appreciable segment of the power block prefer the Party reserve its gubernatorial ticket to Andy Uba on the grounds that he single-handedly mobilized the Party against his 2007 gubernatorial exercise, the entire House of Assembly and entire National Assembly - in Anambra. Adding its share of volatility to the already volatile cocktail are aspirants in the likes of Nicholas Ukachukwu, Senator Annie Okonkwo, Dr. Alex Obiogbolu, Comrade Tony Nwoye and others, who have hedged their bets on toppling Andy Uba and Chukwuma Soludo's gubernatorial aspirations. It is against this backdrop that concerned stakeholders within the Party recently convened a meeting in Enugu to discuss possible ways of harmonizing the various warring interests. At the meeting primarily attended by South East PDP stakeholders, of which Chris Uba and Clement Ibeto arrived late. The attendees who had already began the meeting before the duo arrived, were already resolved on picking Chukwuma Soludo as the consensus candidate to break the stalemate and, in their take, to help usher in a badly needed PDP victory next year. However their resolution did not stand - due to Chris Uba and Clement Ibeto's objection. According to a source who attended the meeting, Chris Uba's objection to the possible adoption of Chukwuma Soludo's candidacy threw the meeting into what turned out to be irreversible disarray. It immediately became clear to the attendees the extent of the delicacies and volatilities contained in the Anambra PDP quagmire. However the PDP is faced with the unattractive option of selecting what will definitely be an unpopular candidate to represent the Party and to present to the INEC if the PDP intends to partake in the electoral exercise in Anambra. And this option puts the PDP in a tight corner. A source within the PDP who also happens to be one of the gubernatorial aspirants told our correspondent that the PDP is concerned about Chris Uba's nuisance value should the decision go Chukwuma Soludo's way. Their fear, according to the source is that Chris Uba will take his army of grassroot supporters to another opposing Party. And Chris Uba has already threatened decamping. The same holds true for the likes of Nicholas Ukachukwu, Senator Annie Okonkwo and others, who have threatened also to abandon the Party should they not be given the gubernatorial ticket. Adding to this is the Andy Uba factor. Sources close to the Andy Uba indicate that while Andy Uba had made his position clear to the PDP concerning his desire to pursue his Mandate, he remains somewhat unhappy with the new mask worn by the current PDP over his truncated 2007 electoral victory in Anambra gubernatorial exercise. The source notes that Andy Uba is prepared to dump the PDP should he become victorious at his Appeals Court case that comes up October 19, 2009 in Enugu. The Labour Party is said to be the Party of choice that Andy Uba may dump the PDP for. 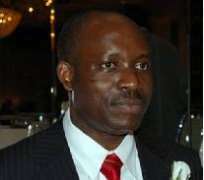 That not withstanding, Chukwuma C. Soludo is said to be the aspirant the PDP will pick to fly their banner in Anambra.